Interested in MathMedia Educational Software products? 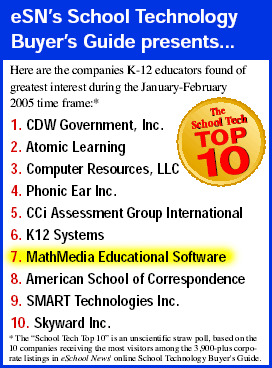 MathMedia Educational Software products make the Top 10! Home > Satisfied Customers > Interested in MathMedia Educational Software products? Choose from the left hand menu to place your order or please let us know if you would like more information. We have been serving customers since 1993 and we are here to serve you today and on into the future.